This revolutionary patented design starts with a bar clamp that wraps a full 260 degrees around the handlebar to distribute clamping stress more evenly through the handlebar, faceplate, hardware and stem body. The steer tube clamp uses three bolts and a curved slot to reduce clamp stress on the steer tube. The body is 3D forged from an advanced 7050 aluminium, internally machined and then enhanced with a Ritchey Matrix structural carbon exoskeleton to enhance stiffness. Premium quality CrMo steel bolts are used throughout, but in a smaller T-20 Torx size that shaves a few more grams with no sacrifice in strength or rigidity. 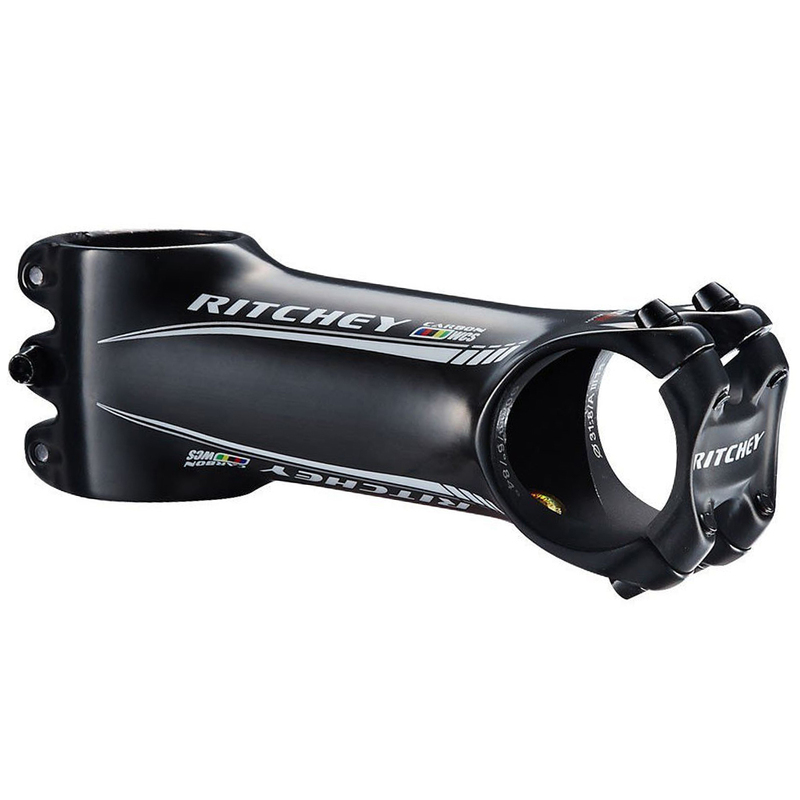 Material: Revolutionary C260 alloy forging with Ritchey Matrix structural carbon exoskeleton to enhance stiffness.